As far as game-related art, advertisements, trailers and other public images have always been concerned, the protagonist of the Mass Effect series is the same tough and tumble male Commander Shepard. Yet any franchise fan knows that everyone’s commander Shepard can be entirely unique; male or female. Those of us that have created our Commander Shepards in the female variety already know that the choice can play out wonderfully as her personality spills out over the relationships she forms throughout the adventure. Play Mass Effect with both the female and male versions of Shepard and you’ll recognize the subtle thematic differences that automatically come from having a strong woman front and center in the fight to save the galaxy. For fans like that, Mass Effect 3‘s collector’s edition boxart will be both a treat and a first for the series. 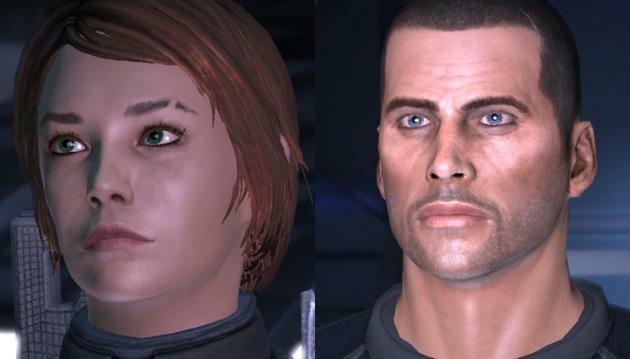 The male version of Commander Shepard will be joined by his default female counterpart. The news came by way of Tweet from Director of Marketing David Silverman. If you care enough to pick up the collector’s edition of the game, odds are you actually care about something like which gendered heroes appear on the cover. I fall into that category. Playing as a female version of Commander Shepard is honestly pretty cool, if you’ve never stepped up to the plate and done it. While the gameplay doesn’t dynamically change, the sight of a woman taking on Geth and Reapers does a lot to stand up against standard sci-fi tropes. If you’re into the narrative of the franchise and all that BioWare crams into their work thematically, give it a try. You’ll probably like what the change does to the story. And then you’ll enjoy the news of female Shepard on the cover of Mass Effect 3 as much as I do.